Season 1 team (casual and powerless). 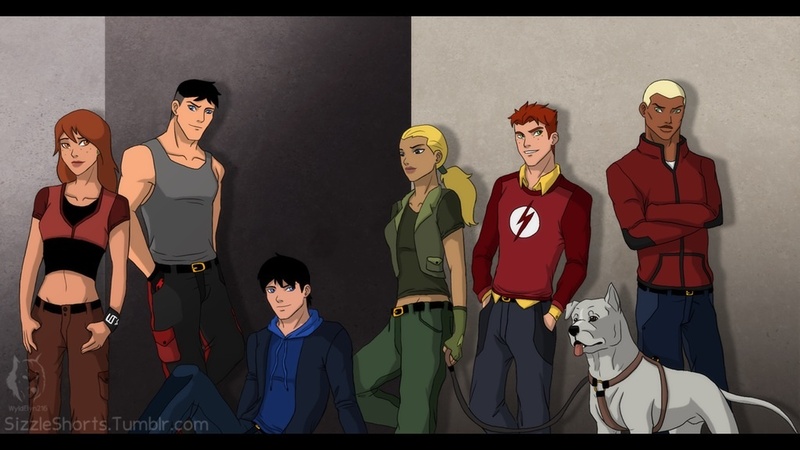 The 1st six of Young Justice just chillin they have no powers in this pic. HD Wallpaper and background images in the ইয়ং জাস্টিস club tagged: young justice aqualad robin kid flash superboy miss martian artemis.